The Employee Millionaire: How to Use Your Day Job to Become a Millionaire with Rental Properties by H.J. Chammas is a book that provides readers with tools they need to build a solid investment in real estate. In this book the author helps readers identify the big "why," develop habits that allow them to create a strong awareness of their financial situation, and insight to beat limiting beliefs while unearthing their potential. Readers learn how to set objectives and the three-step journey to financial freedom. What makes the book so useful is that the author doesn't limit himself in proposing steps to take towards real estate investment, but identifies the most profitable areas in which to invest. The pitfalls to watch against are brilliantly discussed. Here is a book that teaches readers to run real estate investment as a business, creating an effective profession that is measurable and that drives results. This book provides detailed information that is hard to find, stuff that successful investors want to keep for themselves. The author speaks with the authority of one with a tried and tested method, and I enjoyed the confidence with which he talks about his experience. Apart from the advice the book offers, the author’s personal testimony substantiates the arguments. H.J. Chammas’ writing is simple, a conversational style that conveys the message with great clarity. 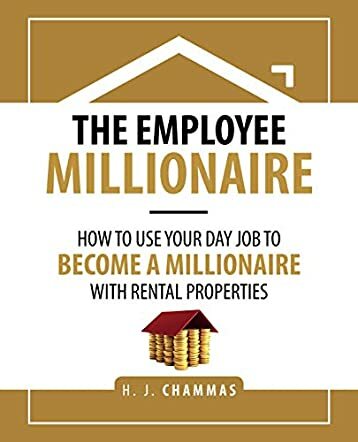 The Employee Millionaire: How to Use Your Day Job to Become a Millionaire with Rental Properties is a gem for readers interested in real estate, a blueprint on how to transform rental property into a profitable business. This is a book for anyone who wants to find the right path to success in real estate.